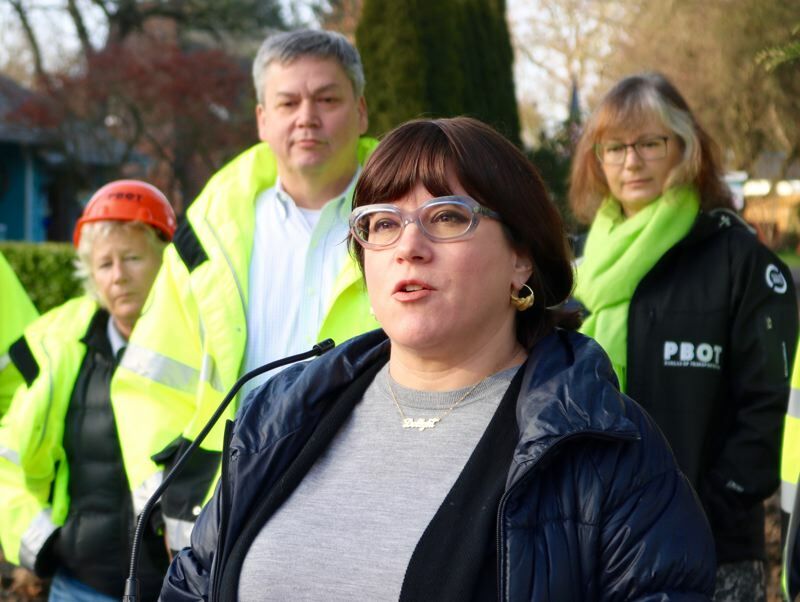 Commissioner Chloe Eudaly is ready to harmonize with the vocal critics of a state transportation plan that adds new lanes to Interstate 5 as it crosses into the Rose Quarter. The first-termer overseeing the transit bureau at Portland City Hall is the latest politician to call on the Oregon Department of Transportation to prepare a second, more rigorous study of the project's overall effects, known formally as an Environmental Impact Study. "Although it would be nice to fix the bottleneck on I-5," Eudaly said in a statement, "as it stands the added auxiliary lanes on I-5 will not deliver meaningful safety, environmental or equity benefits." 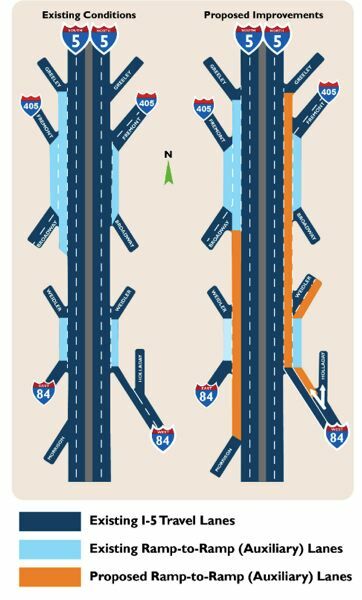 ODOT's vision for the narrow stretch of I-5 would create two new auxiliary lanes, one in each direction, which would allow drivers to chug along to interstates 84 or 405 without having to merge. Workers would also widen shoulders so drivers have enough space to pull over after a fender-bender. Opponents say the $450-million project will encourage residents to keep on commuting by car, though funding is also included to build ambitious lids over I-5, bridging a divide in the Albina neighborhood and creating new greenspace and leafy routes for hikers and bikers. Eudaly's objection isn't exactly an unconquerable roadblock for the project's planners, since the state government and the Federal Highway Administration control the interstate, not the city of Portland. Even if the project stalls, the commissioner acknowledged that the money will still be spent on interstates — just not here. "These funds… will be reallocated somewhere else in the region, most likely on a significant freeway expansion project such as additional lanes on I-205 around West Linn," she predicted. Eudaly said in the statement released Tuesday, April 2 that she wants the board overseeing ODOT to ensure the proposed I-5 tolls are in place by the time work wraps up on the interstate. "We are asked to trust that the highway covers and the environmental remediation will be modified," Adams wrote to administrators. "But there is no basis for trust, certainly not from the historic community that called lower Albina home." Commissioner Jo Ann Hardesty told the Tribune in an exclusive interview that she opposes the I-5 Improvement Project. Mayor Ted Wheeler, however, says Portlanders are lucky that state leaders chose to fund this project out of the many competitors for the $5.3 billion in transportation funding passed as a package deal in 2017. In a statement, ODOT administrators promised to take a close look at all feedback they receive before the deadline to comment closed April 1. "We appreciate receiving the comments in all letters that were submitted," ODOT said. "We will be reviewing all comments."